Roy Greenslade reports on Daily Mirror associate editor Matt Kelly’s presentation at this week’s World Editors Forum conference in Prague. Much has already been made of Mirror.co.uk’s decisions to launch separate sites for its main traffic drivers (Mirrorfootball.co.uk and 3am.co.uk) – in particular the sites’ attitude towards search engine optimisation (or lack of it). “According to Kelly, ‘users’ (a sterile description) are people who discover content through Google, devour it, and then return to their search engine to look for more elsewhere,” writes Greenslade. As a result users car less about the sites they visit and advertisers are less willing to spend cash to attract them, Kelly added. “Until we bite the bullet and forget about this mad race for users, and focus instead on building engaged, loyal audiences, we will continue to see the value of our content erode online,” said Kelly, who added that slow growth of engaged audiences should be the aim for news groups online. 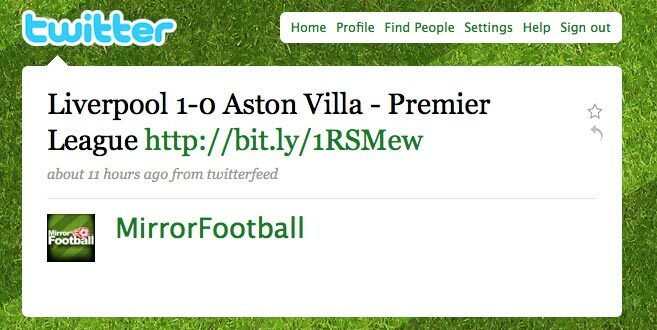 This entry was posted in Editors' pick, Online Journalism, Traffic and tagged 3am.co.uk, Matt Kelly, Mirror.co.uk, MirrorFootball.co.uk on October 2, 2009 by Laura Oliver.